About Plumbing and Heating services throughout Yorkshire. Bathrooms, Boilers and much more. Fully gas safe registered Company Overview Yorkshire based, Gas Safe registered Plumbing & Heating Engineers. Quality bathroom refurbishments, boiler installations and all other plumbing & heating requirements. All aspects of Domestic & Commercial work undertaken. 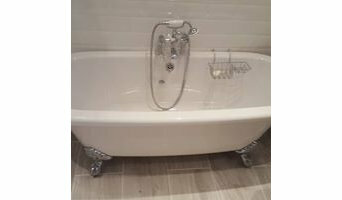 Bodmin Plumbing Services is a Leeds based company, covering the West Yorkshire area. We cover contract, insurance and private work. We fully guarantee all our work and are fully insured with Corgi. We offer 24 hr call out services for DIY disasters and water leaks. As a local and independent plumber in Heckmondwike, we identify the importance of providing an honest and efficient service that represents real value for money. Growing our company steadily from strength to strength, we attain almost all our work through repeat custom and positive recommendations. To find out more or to arrange a free quote in with one of our gas engineers in Heckmondwike, please contact Smart Gas Plumbing & Heating Ltd today. 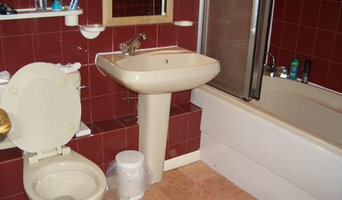 At Brook Plumbing And Heating we are the best plumber service provider in Ossett. We are named professional in market having many years of experience in industry. We provide reliable services at a very reasonable cost. We feel pride in solving problems & providing 100% customer satisfaction. We welcomes you to Brook Plumbing And Heating. To get in touch with us you can call us at: 7977910557. For more information you can visit our website. Feel free to get in touch with us. Welcome to Ben Page Plumbing and Heating - we specialise in all things gas-related! We can install boilers from a wide-range of manufacturers including Baxi, Worcester-Bosch and Vaillant, service an existing boiler or repair a broken one with our 24/7 call out. We also specialise in the installation of gas ovens, hobs and gas fires. Just to give you that extra peace of mind, we are Gas Safe Registered and City and Guilds qualified; meaning your home is completely safe in our hands. In additional to our gas services, we also offer a wide-range of general plumbing services. Whether you have a leaky shower head, a leaky kitchen sink or a blocked drain, we can be on hand to give you some assistance. We pride ourselves on building a fantastic relationship with our customers and as such, we offer our support throughout the entire process and beyond. Need advice on which boiler is best? Or are you keen to ask us some questions about the brand new boiler that we've installed? Please do not hesitate to get in touch. You can contact us on 01924 240027 or for anything job-related, you can fill out the contact form on the contact page of our website. We can't wait to get started. Total Plumbing and Heating is a plumbing and heating service company based in York. We have over 8 years of combined experience. All our services are fully insured and Gas Safe registered. Our Gas Safe registration number is 59344, and you can give us a call or contact us through the Gas Safe website. Established ten years ago, E&F Plumbing Contractors Ltd was formed to provide a quality, professional plumbing service at reasonable cost effective rates. Working within both domestic, commercial and industrial sectors, our business has a turnover of over £600k, survived through a hard-hitting recession and has continued to provide a dedicated service. Our list of loyal clients continues to grow and includes; McDonalds, Harvey Shopfitters, Halsall Mechanical, Ron Hull group of companies, Assura Pharmacies, Powells Shopfitters, Sainsbury's and many more. When you hire our heating engineers to provide you with plumbing and heating services in Stalybridge, you can rest assured that we will stick to our values – which are: Installing high quality products that will last a long time and require minimal maintenance. Ensuring that all plumbing and heating work is conducted in a safe manner. Communicating with all customers in a friendly and professional way. Answering any questions you might have about our products, service or process. Plumbers in Leeds, West Yorkshire can do more than just fit sinks and fix toilets; for any water or gas fixture there’s a plumbing company that can repair, install or even design it for your home. In the kitchen, you’ll need local plumbers to hook up your sink, dishwasher and washing machine to the main water supply and the drainage pipes, and they may be able to help with waste disposal units, gas hobs and plumbed-in fridges that dispense ice and water. In the bathroom you should hire Leeds, West Yorkshire plumbers to install your main bathroom fixtures – showers, baths, sinks, toilets and bidets. Plumbing companies and heating engineers can also install towel radiators, shower body jets, bath spas and possibly underfloor heating. Plumbing doesn’t have to stick to the kitchen and bathroom, either. Plumbers can install water taps outside for hoses and sprinkler systems, or you may want outdoor water features, such as a fountain, pond, pool, hot tub or shower; all of which you can talk to Leeds, West Yorkshire local plumbers or plumbing companies about. You may find that you need a plumber to work with a tiler, kitchen designer or architect so that your whole redesign can come together seamlessly. Here are some related professionals and vendors to complement the work of plumbers: Main Contractors, Septic Tanks & Sewage Systems, Kitchen & Bathroom Designers, Kitchen & Bathroom Fitters. Find local plumbers on Houzz. 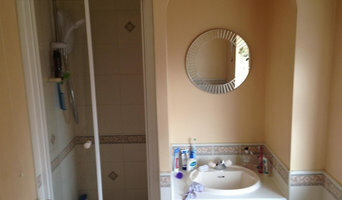 Narrow your search in the Professionals section of the website to Leeds, West Yorkshire plumbers and plumbing companies. You may also look through photos of Leeds, West Yorkshire projects to find a plumber who has worked on a project similar to yours.